Syndicated radio host and speaker, Autumn Miles offers hope to readers who discount their worth and dismiss their participation in the kingdom of God because of sin and a troubled past. What do you do when you can relate more to Jezebel, Rahab, or Eve rather than Esther or Mary? To her surprise and joy, author Autumn Miles discovered most of the heroes of the Bible were plagued with the same problem. They were ordinary people who sinned, but God's love, mercy, and truth proved greater. I am Rahab introduces readers to a better understanding of God, with a focus on the breadth of his reach to use and redeem all things for the good of his purposes, and for their benefit as his beloved children. 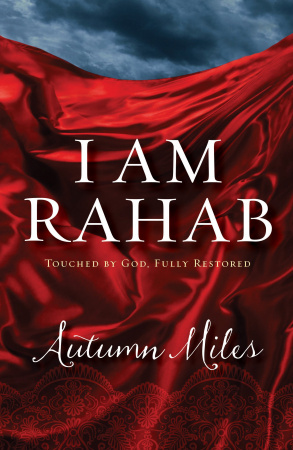 Readers will find comfort in relating to the story of Rahab and to Autumn's own raw story, encouraged to know they are not alone in a life disrupted by bad choices, nor are they meant to stay there. You can move forward from your past and have an abundant future.